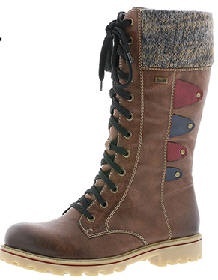 A stylish ladies mid calf boot from Rieker with a modern burnished effect upper combined with fun colourful tabs to add detail. This boot has full length lace fastening which allows for extra adjustment while an inside zip offers easy access. RiekerTex technology to the upper allows this boot to be water and weather resistant. 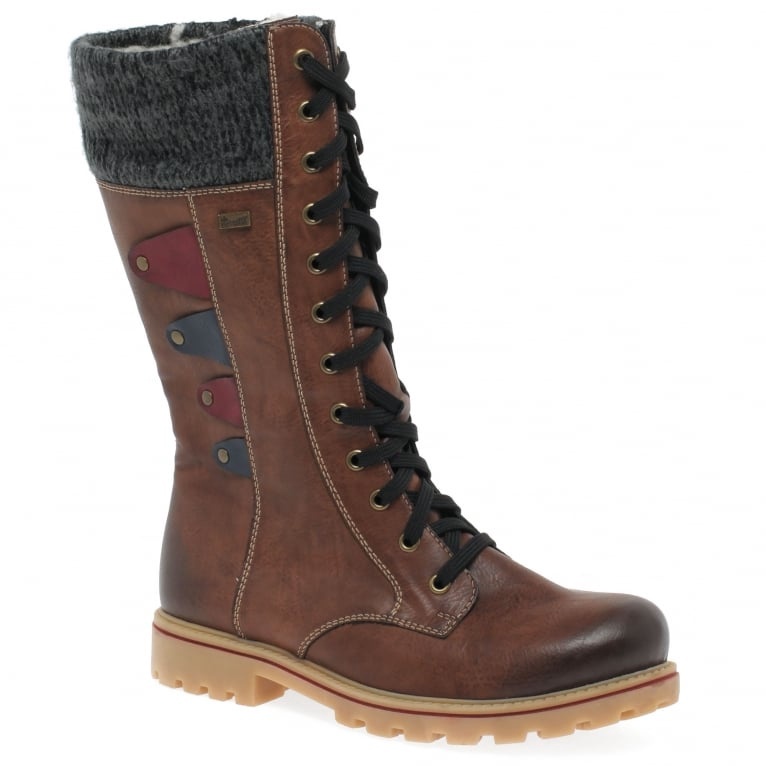 Completed with a knitted collar.these boots are also fleece lined to keep your feet warm this winter.